Work for Check Point Secure Web Gateway? Learning about Check Point Secure Web Gateway? 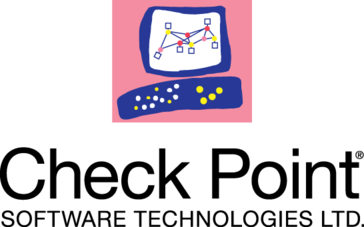 "Check Point Secure Web Gateway"
Check Point Web Security solutions help you minimize your vulnerability and educate your end users about unsafe practices. Web Gateway also extends this flexible control to web applications. Beyond simply allowing or denying access, Web Gateway provides detailed control over how web applications are used, including popular instant-messaging applications.It has a site to site filtering to control access to unsecure website. Not commonly used web gateway as compared to Cisco ASA, Juniper and Cyber-roam firewall UTM. It can be difficult to configure. I would recommend that users compare security features with Checkpoint Web Gateway and other security vendors in terms of price. There is a chance for the price to be subsidized so as the product can be marketable. I would recommend the product as the GUI for the configuration on Checkpoint on an internal LAN is easy to configure. One does not require CLI configurations for checkpoint. I would recommend the product as a good firewall security appliance to act as internal Gateway from the internet to the internal organization network. security for all aspects of the internal WAN Network. It has prevented malware, DDos attacks , infections damage with multilayered security feature. Our network browsers are protected from vulnerability exploits. There are tremendous Benefit from the only solution that protects Web based activities with unified control, enforcement and reporting. * We monitor all Check Point Secure Web Gateway reviews to prevent fraudulent reviews and keep review quality high. We do not post reviews by company employees or direct competitors. Validated reviews require the user to submit a screenshot of the product containing their user ID, in order to verify a user is an actual user of the product. Hi there! Are you looking to implement a solution like Check Point Secure Web Gateway?